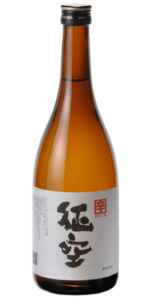 The yamahai brewing technique is famous for resulting in rich, feisty and flavoursome sake with buckets of umami and solid acidity; Purple Samurai, from the innovative Hayashi Honten, is no exception. A lively and full fragrance of cooked apples, caramel and marrow provides a tantalising hint of the flavours to come. 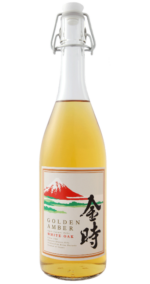 Caramelised, spiced bananas and apples as well as bitter, dark chocolate are all flavours that are present in this slightly dry and full-bodied sake. Alternatively, if it’s a cold winters day (or if you’re looking for that extra zing), Purple Warrior is fabulous at 30-35°C: at this temperature the aromas of the sake are enhanced and the flavours mellowed. The already ample acidity can work harder and so pairing with oilier sauces or fattier foods will work a treat: belly of pork or roast turkey with gravy would both be good examples. The Japanese name for this sake, Hyaku-ju-ro, comes from a popular kabuki actor who lived in nearby Kakamigahara city. In 1912 he made a donation of 1200 cherry trees to line the banks of the city’s Sakai River. It is now a tradition for people to gather at one of the city parks on the banks of the river to see the cherry blossoms’ annual bloom. Black Face was brewed to honour Hyaku-ju-ro’s generous gesture. The label on the bottles reflects the makeup worn by kabuki actors.